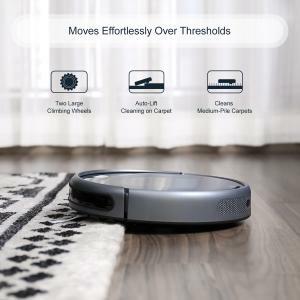 The R300 robot vacuum can pick up almost every dirt, dust, hair, pet fur and debris with 1400pa powerful suction for impeccable clean home. 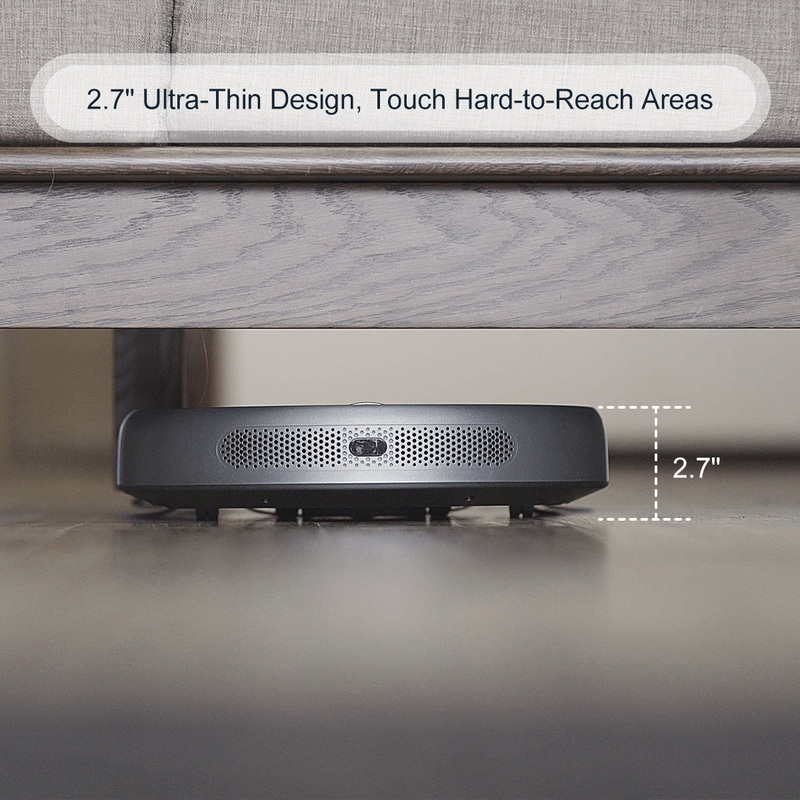 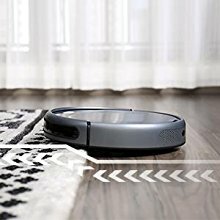 Two large climbing wheels move effortlessly over carpets and door ledges to seamlessly clean the messes. 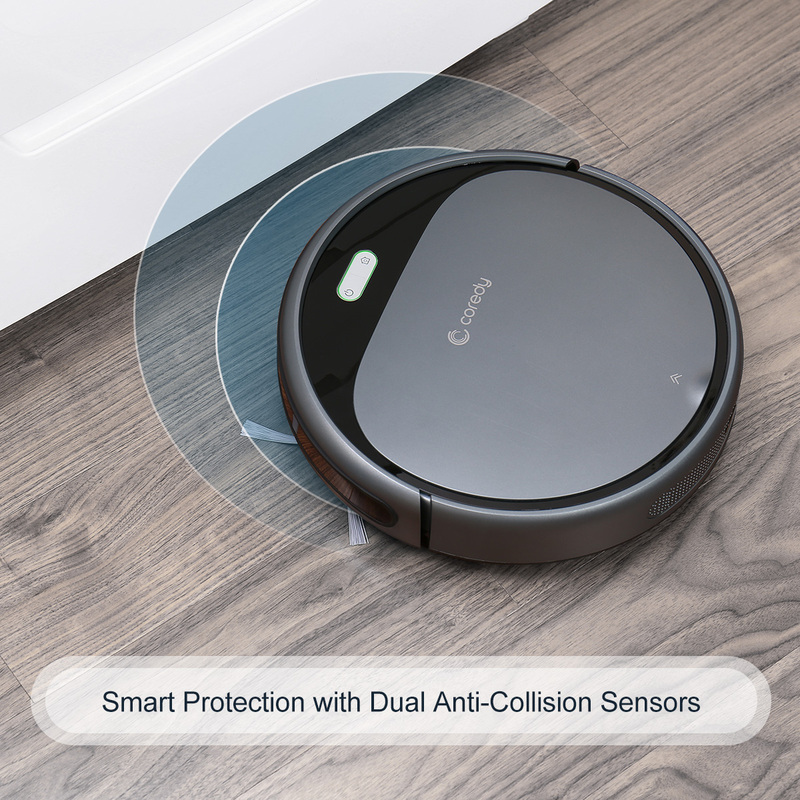 Use upgraded anti-collision & drop-sensing technology for enhanced navigation, protect the robot from scratches and avoid to fall. 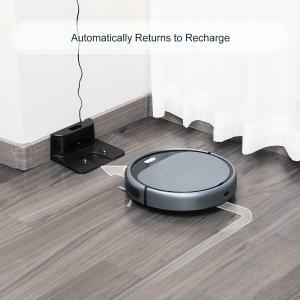 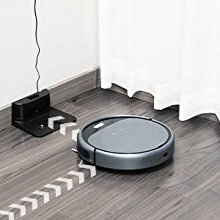 The robot automatically returns to charging base to recharge when in low power, ensuring it’s always charged and ready to vacuum. 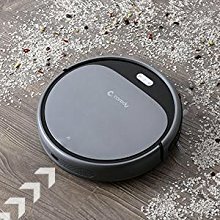 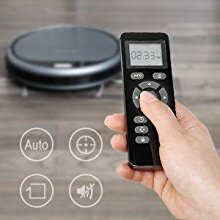 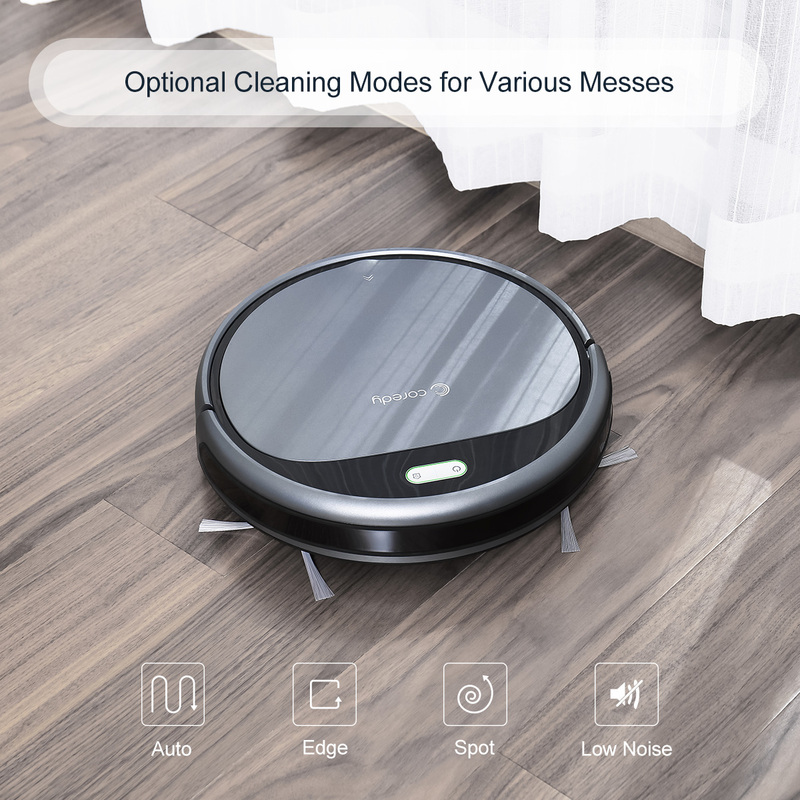 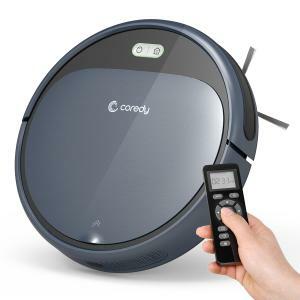 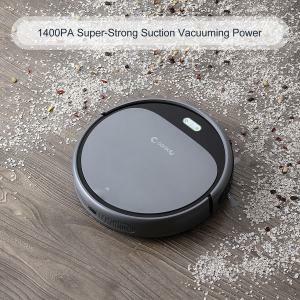 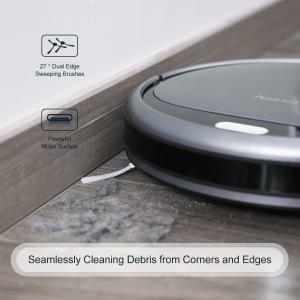 Easy clean with remote control, 4 optional cleaning modes and pre-set vacuuming time makes clean effortlessly while you do other work or not at home. 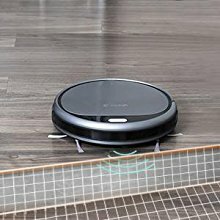 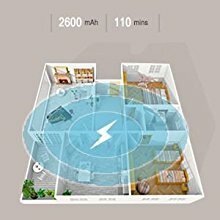 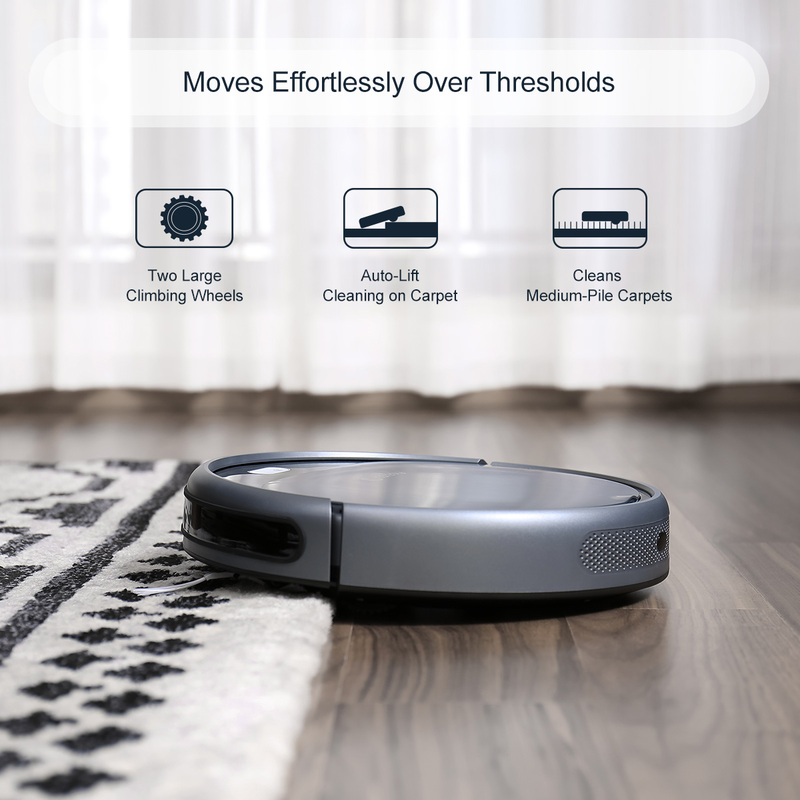 Powered by 2600mAh Li-ion battery, the robot vacuum allows you enjoy up to 110mins of constant cleaning from a single full charge. 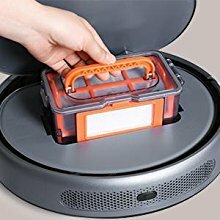 A large 300ml dust bin holds more dirt per clean to reduce the frequency of emptying, easy-to-use handle for easily take out to clean up. 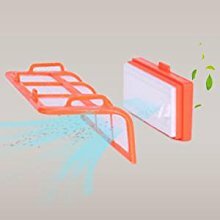 Pre-filter and high-performance filter combo effectively trap dust and reduce the amount released back into the air to achieve a spotless home.